Wow. 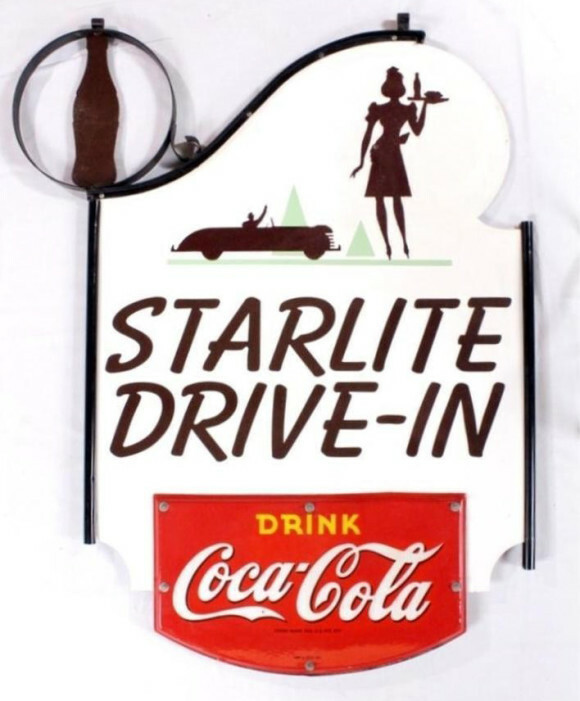 This double sided porcelain sign for the Starlite Drive-In, sponsored by Coca-Cola, has great detail. The sign hangs, but measures 42″ by 52″. At the top is a woman holding a serving tray, with a car to her left. In the car, a man is waving at her. Below that is text that reads “Starlite Drive-In.” Below that text reads “Drink Coca-Cola” in the classic red and white.